All freebies combined into one. The download emails you receive from us are automated emails. Unfortunately these types of emails sometimes get falsely flagged as spam. If you didn't receive any email in your inbox check your ads, spam and junk folder. If you find it there, make sure to mark the email as non-spam to prevent future emails from us to land there. If you still can't find the email, enter your email into the form again and verify that you entered it correctly. You may have not received any email because you entered a wrong email address. Why do I have to subscribe to your newsletter to download? In order for us to keep releasing free content we need your support. If you subscribe to our newsletter you are just going to receive emails from us notifying you about new product releases, more free content like these and other giveaways and contests we might host in the future. If you do not want to support us, you can unsubscribe from our email newsletter any time you want. Simply use the unsubscribe link at the bottom of one of our emails you received. I still have some issues. Where can I get help? If for whatever reason you still have any trouble downloading these freebies or have a question regarding our newsletter, contact our support at support@stiickzz.pro. 20 freebies with over 72.000 total downloads combined into one big pack. Covering various genres, Soundbanks for Sylenth1, Sample Packs and Project Files for FL Studio, Ableton Live & Logic Pro X. All of our free Soundbanks total to 185 Sylenth1 presets. That's exactly what you will find in this Soundbank. 185 top-notch presets for genres like Future Bass, Chill, Future House, Trap, Progressive House & more. These presets cover a wide range of different styles and can bring something new and a fresh to taste to pretty much any production. The best part is — all these presets are completely free. So even if they don't do your productions justice, you haven't lost anything. Yes, that's correct. 480+ Drums is what you get for FREE! 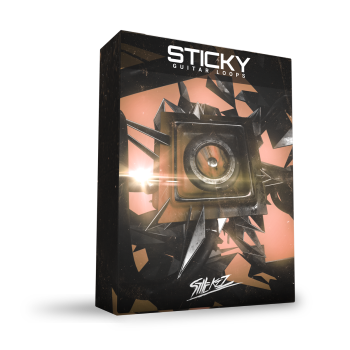 Over the past few years we've created some of our best Drums for our freebies and within this Sample Pack we've complied all of them. We made sure to sort everything properly to make samples you need, easy-to-find. Need a Future Bass Kick? Open the Kicks folder and then the Future Bass sub-folder. Need a Vocal Chop Loop? Open the Vocal Chop Loops folder and find one that matches your key and BPM. Need a Hip-Hop Snare? Open the.... I think you get the point. This pack pretty much has everything you need — and it's all free. Having high-quality samples and presets is great but having access to high-quality Project Files gives you an even bigger advantage. Project Files do not only teach you how to use those samples and presets but they can also teach you mixing and mastering techniques, arrangement and workflow techniques, layering techniques and so much more. With 14 Project Files for 9 different genres you'll surely find a Project File that will help you learn something new and help you improve your future productions. Oh, and the best part is — they are all free! Enter your name and email below. We will send you the download straight to your inbox. according to the Copyright Policy. To receive this download for free, please follow our Instagram account! If you do not follow us, you won't receive the download. Why did I not receive an email? If you still can't find the email, enter your email into the form again and verify that you enter it correctly. You may have not received any email because you entered a wrong email address. Why do I have to subscribe to download? In order for us to keep providing everyone free content we need your support. If you subscribe to our newsletter you are just going to receive emails from us notifying you about new product releases, more free content like these and other giveaways and contests we might host. If for some reason you still have any trouble downloading these freebies or have a question regarding our newsletter, contact our support at support@stiickzz.pro. Go ahead and check your inbox. You'll receive an email shortly with the download. Also, make sure to check your spam/junk folder. If you need further help downloading this freebie, check the FAQ at the bottom of this page.